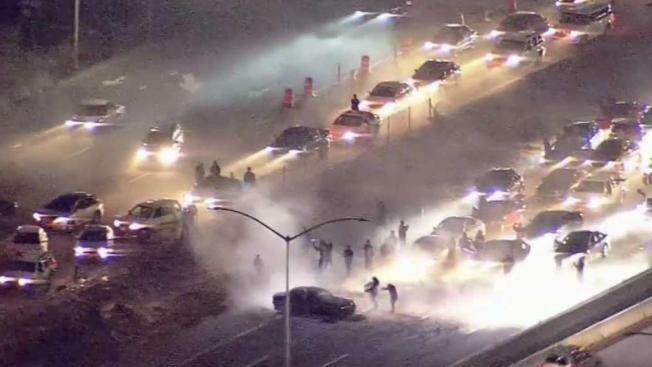 A sideshow shut down Northbound Interstate 880 after the Warriors sweeped the Cleveland Cavaliers at the NBA Finals on Friday night. NBC Bay Area’s Skyranger was flying over Warriors fans celebrating in the streets when it caught a sideshow at Hegenberger Road, right across from Oracle Arena. The driver was seen spinning for about five minutes and brought traffic to a standstill. The driver later drove off and was caught by police a mile up the road.